The purpose of rehabilitation is to restore some or all of the patient's physical, sensory, and mental capabilities that were lost due to injury, illness, or disease. Rehabilitation includes assisting the patient to compensate for deficits that cannot be reversed medically. Physical therapy involves the interaction between physical therapist, patients/clients, other health care professionals, families, care givers, and communities in a process where movement potential is assessed and diagnosed and goals are agreed upon. Physical therapy is performed by a physical therapist (PT) or physiotherapist (physio), and sometimes services are provided by a physical therapist assistant (PTA) acting under their direction. Physical Therapists or physiotherapists are autonomous, primary health-care professionals who are experts in movement and function of the body. Physiotherapists work with patients of all ages and a spectrum of health conditions. Physiotherapists treat and manage acute injuries such as ankle sprains, but also chronic conditions such as diabetes or heart disease. Education, consultation, and injury prevention is also an integral part of what physiotherapists do. Neuromuscular Taping is a technique based on the natural healing processes of the body. The muscles are not only related to the movements of the body, but also to control the movement of venous and lymphatic fluids, body temperature etc., therefore the inappropriate functioning of the muscles induces different types of symptoms. The technique Taping neuromuscular is based on a therapeutic concept that facilitates free movements in order to allow the muscular system to help the body to heal itself biomechanically car. The Neuromuscular Taping is based on the natural healing ability of the body, is a corrective technique mechanical and sensory promotes better blood and lymphatic circulation in the area to be treated. And 'ideal for the treatment of muscles, nerves and organs in post-traumatic conditions, in physiotherapy or simply to improve athletic performance. Use of Neuromuscular Taping gives the operator a sports doctor and physiotherapist a new, innovative and non-drug that is the root of all disease. The muscles are treated with a rubber band, which allows full muscle and joint movement and activates the body's defenses by increasing the capacity of healing. Neuromuscular Taping ® is a registered trademark connected to codified procedures and authorized by a process of training and certification. 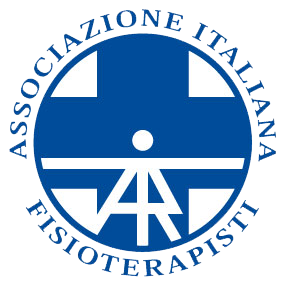 Only trained professionals in official courses for qualified teachers can have guarantees of results for the high level of competence achieved in the therapeutic Taping neuromuscular technique. Based on the most recent knowledge of movement mechanics and the physiopathology of pain, the Human Tecar Specialist combines the innovation of a cutting-edge engineering technology with the tradition of a specifically developed massage technique to offer the patient a double advantage: immediate pain relief, drastic reduction in treatment times to allow a faster return to normal activity. Our Specialists use Human Tecar technology to release biocompatible energy, reviving the natural repair mechanisms in the damaged tissues, starting with the activation of the lesser circulation that, on the one hand, eliminates toxic catabolites and, on the other, stimulates cell metabolism through a more intense regenerative activity. Human Tecar Specialists apply manual techniques reworked according to the criteria of the method developed by Human Tecar research centres and are able to get the best from both the desired effects of the manual massage and the physiological effects induced by the instrument. Developed to reactivate the natural repair processes by acting on the circulatory system, Human Tecar technology’s efficacy, flexibility and almost complete absence of contraindications make it a valuable instrument in a number of very diverse contexts: sports medicine, physiotherapy rehabilitation, pain therapy, phlebo-lymphology, plastic surgery and cosmetic medicine, rheumatology, orthopaedics, diabetology (consequences of poor circulation), neurology, occupational medicine, spa treatments and veterinary science (large and small animals). According to the diagnosis and the physiological response they believe it most useful to stimulate, the practitioner and doctor will manage the reactions induced for the purposes and therapeutic aims established. As any physical medicine expert or physiotherapist knows, asymptomatic microtraumas caused by tiring, strenuous work, long periods of inactivity or sudden and awkward movements can cause poor posture characterised by abnormal musculoskeletal tensions and dysfunctions of the circulatory and, above all, venous and lymphatic systems. This can lead to a long series of pains, fatigue and stress that weaken vital capacity and can, with time, become fully-blown medical problems. Anyone who answers this description, as well as amateur sportsmen and women who want to keep in perfect form or prevent occasional traumas caused by inconsistent training, can count on finding a specifically dedicated programme at their local Human Tecar Centre. A prevention and maintenance programme that renews energy to preserve an optimum physical condition and improve your quality of life The prevention protocols developed by Human Tecar are now used also by companies that believe in the importance of caring for the health of their staff. Manual Therapy is an internationally recognized system of prevention, assessment and treatment of disorders affecting the neuro-muscle-skeletal system. The International Federation of Orthopaedic Manipulative Physical Therapists (IFOMPT) defines Manual Therapy techniques as: "Skilled hand movements intended to produce any or all of the following effects: improve tissue extensibility; increase range of motion of the joint complex; mobilize or manipulate soft tissues and joints; induce relaxation; change muscle function; modulate pain; and reduce soft tissue swelling, inflammation or movement restriction." Posture is the position in which we hold our bodies while standing, sitting or lying down. Your posture directly affects your health. When posture is bad, pressure on your spine is increased. This can lead to tension, soreness, headaches, back pain and fatigue. 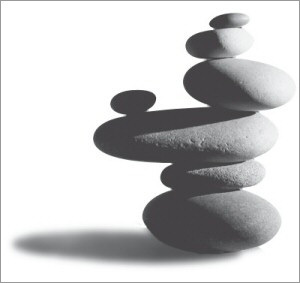 Postural imbalance also compresses your internal organs, reducing their efficiency and proper function. This may cause such issues as respiratory problems, chest tightness, high blood pressure or poor digestion. Fatigue is one of the most common symptoms of poor posture. It takes a lot of energy to hold the body in an awkward position, and in turn this alters our breathing capacity which can be diminished by 30%. Good posture is the correct alignment of body parts supported by the right amount of muscle tension against gravity. A good postural position permits you to breathe better, and as a result reduces fatigue and minimises other side effects associated with bad posture. Proper posture keeps muscles, ligaments, bones and internal organs in their natural position. This reduces wear and tear of the joints, and relieves stress, improving health and enhancing your appearance. Good posture can also increase self-confidence. In our experience people who adopt good posture not only display greater confidence but have a stronger belief in their own abilities than those with poor posture. The postural rehabilitation component of the C.R.I.S program at Chiropractic One in Liverpool focuses on performing a detailed postural analysis which assesses you for changes in stance, leveling of the hips and pelvis, increase in the spinal curvatures, variations to gait (walking), height difference across the shoulders and tilting of the head and neck. 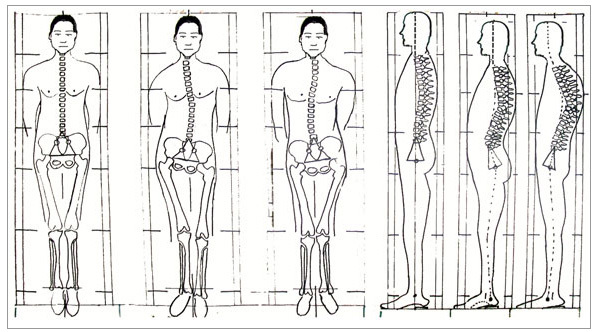 Once the postural analysis is completed a system of spinal adjustments, postural awareness techniques and corrective exercises are implemented simultaneously to stimulate, retrain and strengthen your body in order to facilitate a return to normal posture. Correcting poor posture does take discipline, but there’s no doubt the health rewards to you will be well worth the effort. Mézières’ designed an original and unique way of treating patients based on her discoveries. Instead of working on the dysfunction by exercising this function, Mézières’ restores it through a reshaping of the whole body. This is achieved by means of an eccentric static contraction of the MCs. In other words the chains are passively extended and then contracted without any possibility of shortening. By stretching the tight MC s, the strength of the weakened antagonist muscles (mainly the quadriceps and abdominal) improves automatically. Practically speaking the work is based on very precise postures in which all the segments of the body are carefully aligned. This requires the adoption of a paragon (model) of the perfect shape which Mézières’ found in classical Greek sculpture. These postures can look ridiculously easy and simple – until you are trying to hold them. They are tailor-made (no prêt-à-porter in Mézières’ work) and carefully constructed until all compensations are eliminated. In Mézières' paradigm, shape determines function. 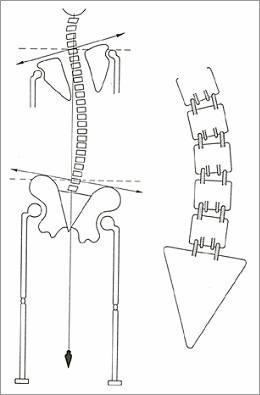 As any departure from normal shape will eventually cause musculo-skeletal problems, it is necessary to adopt a template or model of what constitutes the ideal shape. Mézières called it the paragon which she described in detail. The first session of a Mézières' treatment always contains an in-depth study of the patient's shape which is then recorded, analysed and interpreted. This is an essential part of the treatment as it conditions the way the sessions will be conducted. Classically, physiotherapy and many other physical therapies exercise function in order to restore function. For example, to treat a frozen shoulder (an impaired function with severe movement limitation), a physiotherapist would exercise or passively mobilize the shoulder in an attempt to regain normal functioning. In contrast, a practitioner of the Mézières' method would restore shape in order to restore function without even touching the painful shoulder. By redistributing muscle tone throughout the whole body, normal shape is progressively restored and pain disappears.